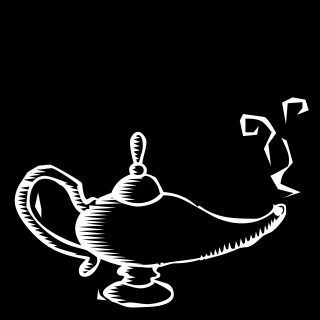 If a genie from a lamp offered me three wishes, I wouldn’t wish for lots of money. I’d wish for something really neat like having my picture taken with my favorite New York Mets player, right fielder Darryl Strawberry . Or being successful like my Dad who is an insurance agent or being less judgmental. I think my Dad would be upset, my Mom too, if I wished for success rather than earning it through hard work. So, I’ll chose the latter as my first wish. Now what about my second wish? Perhaps I’d use this wish to become an artist like Renoir or Matisse or maybe to have a musical ability like flutist James Galway. His playing is outstanding and when I listen to his music I feel very happy and relaxed. I have a similar sound playing my flute but my ability to play notes less than a quarter needs serious improvement. There is a downside to asking for either artistic or musical talent, the fame. My privacy would go out the window so I will have to forgo both of these wishes. Wait a minute, how about I become a fossil hunter? No that is extreme for me and besides I have to wish for lots of scientific, anatomic, evolutionary, and biological know how and that is not what I want to use my second and third wishes on. So what will my third wish be hmm,hmm how about being able to speak multiple languages with ease, I’d like that! But wait I’d like to go a country other than Canada or Mexico and I’d have to ask my parents for the money just so I could stay fluent in the languages I pick up. I don’t think my parents would go for that so this wish is out. I think I will have to stick to three realistic wishes. My first, is the photo with Darryl Strawberry, then I’d wish for being far less judgmental, and finally for my last wish to become a children’s author, no strike that a mystery writer. Now if this last wish leads to making money off of my stories so be it but if this does not happen, as long as I keep writing stories I love I will be very happy.